I agree that it is really financially practical to buy a house rather than rent. It is true that it may be a little more expensive in the beginning, but it is beneficial in the long run. A house can be kept, rented, or sold at a higher price in the future. Thanks for the information Barbara. There are lots of advertisements in the internet today regarding Montecito homes for sale that a person planning to buy might get overwhelmed. In order to choose the right home for your budget, it is advisable to consult an expert. 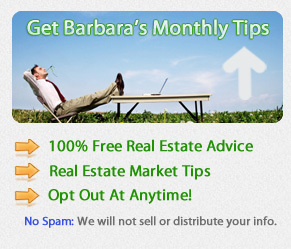 Barbara is one of the most reputable Montecito realtors who offers excellent services.